Following up on my how to create a budget article, I want to share with you a budgeting method called the cash envelope budgeting system. The envelope system of budgeting has been around for long time (it’s believed to have started during the Great Depression). However, it became more popular when Dave Ramsey preached it to his followers as the Dave Ramsey’s Envelope System. The idea behind this system is very simple and powerful. It assumes that you handle your income and expenses in cash — which is good because Dave Ramsey wants you to cut up your credit cards anyway. When you cash your paycheck, you put money in envelopes that represent various categories of household expenses — i.e., rent, food, medical, entertainment, clothes, utilities, etc. You label these envelopes, put the budgeted amount inside, and write the starting amount on the envelope. Whenever you pay for something, you take the money out from the appropriate envelope and write down the new remaining amount. For example, if you start off with $400 in your food envelope and you take out $50 for grocery shopping, cross out $400 and write down $350. If you have change, you can put it back in the food envelope and update the amount, or you can put it into a savings envelope to pay yourself. The basic rule is that you don’t spend more than what you have in each envelope, and you don’t steal from other envelopes (if you can). The idea is very simple, but I can see that it will probably take a few months to perfect the system. For example, you’ll to make some adjustments to make the system fits your situation if you use credit cards, make automatic payments, etc. If you’re a visual learner, this video from NCN Blog will do a better job of explaining the system than I could. It’s important to note that this system is an extension of the standard budget that I discussed previously. You still need to follow the 7 steps discussed to set everything up. The cash envelope budgeting system simply makes it easier to follow your plan because it’s more interactive than tracking everything on a piece of paper. In addition, Christian Personal Finance has a great list of free budgeting software that you can also try. They may not be as good as YNAB, but free is nice. What a totally brilliant idea. We often do this on holiday, when we are working with foreign currency because it’s often easier to work out how much you have to spend daily, but I don’t know why I haven’t thought of doing this back home! My only concern is having too much cash lying around…..
Tanaya, if you want to follow Steve’s process then divide by two instead of 4.3. According to your previous reply in June you intended to begin budgeting and tracking expenses. How’s that going? You don’t need to reply to this post. You just need to reply to yourself. Look hard at any advances you’ve made and even harder at any goals you have not achieved. Then pat yourself on the back for the advanced and work harder at solving the problem areas and then repeat the process every month forever more! Financial responsibility is not a goal that can be achieved. It is an ongoing process that if you ever stop will return you to the pain and stress you’re feeling currently. Steve thanks for the info. O.k so I admit it, I wish I had paid attention in math class, but we get paid bi- monthly so how would that change the number to divide by? For all of you who are asking yourself, does her husband really let her handle the finances? The answer is Yes, but the bills get paid but we can never, never save and get ahead and he’s not real helpful when I say pack your lunch for work dear. the way to start with this system when you’re living paycheck to paycheck is to first add up all the nonnegotiable monthly expenses like your rent, car insurance,(leave groceries out of this; you’ll see why in a second), and divide that figure by 4.3 (the number of paychecks in a month). Every week, leave the figure you came up with in your checking account, and take out enough cash to buy groceries and pay for your transportation for both you and your husband, children or family members. Put that cash in the physical envelopes. One for grocery, one for transportation… you get the idea. Now you only spend out of those envelopes. (you may need to give an envelope to other family members for their weekly spending needs too). Do this every week and at the end of the month, the money for your rent will have accumulated in your checking account, since you didn’t spend anything except what’s in the envelopes and left the right amount for your nonnegotiable expenses from your paycheck every week. Actually, that’s how you would use YNAB too, it’s not true that you need a huge chunk of cash to start out with. But really, a few envelopes for weekly spending (groceries, transportation, maybe clothing and entertainment) combined with leaving enough money from your paychecks in your checking account so that at the end of the month you can meet rent and car insurance and whatever, and you should be good to go. It’s simple and it works, assuming you actually are taking in enough money to pay for all the stuff you need. @Tanaya – You can only cut your expenses so much, so don’t forget to look for ways to earn more money too. Even if you earn only $100 extra a month, it will help. Thanks for the support and pep talk Bill, much appreciated. Had a heart to heart with the hubby last night about cutting back even more. Start keeping logs of the money spent to see where we are splurging too much. Set up the envelope system for groceries,gas and misc. everything else is either auto withdrawn or paid online, with the exception of some of the doctor bills. Will make a valiant effort for at least a month to see spending trends and then work from there. Thanks again and if you have anymore suggestions, I’m all ears! Tanaya, just remember to take care of yourself and your loved ones first, NO MATTER WHAT! They’re the ones that will be there for you through thick and thin. Anyone else, ANYONE who is putting pressure on you to pay up at any cost to your family is NOT YOUR FRIEND. Do what you can to get those people out of your life as quickly as possible. You’ll be far better off for it. NO ONE will begrudge you any action you take to provide for the subsistence of those you love. Thank you for the info. There are little luxuries that we have and they are few. May have to think about trimming back even more. Thanks for the suggestions they are greatly appreciated. I do think I was looking for a magic bullet. Thanks for the reality check!!! @Tanaya – You don’t have to spend money to buy the software, you can also use simple spreadsheet — even free ones like Google Docs. As far as how to stop living paycheck to paycheck, you’ll have to make some sacrifices. I can see your situation is tough. However, the only way to do it is to earn more and spend less. * Are you paying for anything that you can “live” without? * Are you paying for something that has a less expensive alternative? You’ll have to look hard and dig deep, but that’s how it’s done. There’s no magic bullet. ok so I have checked out the YNAB website. For someone who has never seen a spreadsheet let alone do one, how easy will it be for me? Also, I noticed there’s not a tutorial for rule#1. How does one get to paying bills on time using this system with rule#1? Our situation is not due to having a bunch of credit card debt, however we do have 1 card. We live paycheck to paycheck just in what it takes to live, utilities,mortgage, one vehicle payment and many, many medical bills due to our 2 children that have congenital kidney conditions. I’m having trouble understanding how this works. But am very interested. The pro version I can say without a doubt would be over my head and question if I can navigate the basic. Correct me if I’m wrong, a person has to save for 4-6 months before attempting to use this in order to have enough money to spend next month what I earned last month? Help please? Thanks for the suggestions and for the visual tutorial. @Bill – That’s an excellent suggestion. Thank you. 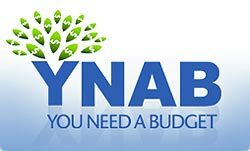 @Tanaya – Additionally, you may want to look at YNAB web site and look at their videos and documents. The software is design to help people who are living paycheck to paycheck get out of that situation. Tanaya, if you’re cutting it that close I suggest you look long and hard at your spending. First, cover all the necessities such as rent/mortgage, utilities (cable and Internet excluded), food, and transportation costs. Next, pay yourself a little. If you don’t make your “budget” livable you’ll never stick to it. Finally, gather up all your monthly obligations and with the remaining money pay a proportional amount to each creditor. Don’t forget to account for any bills that happen once a quarter or once a year. If you can’t cut your expenses and spending then the only other option is to increase your income which you can do immediately with another (temporary) job. The problem with increased income is that it often leads to increased spending. So be careful and good luck! How does one start this system when you live paycheck to paycheck in paying your bills. I can’t put our money for a month at a time in envelopes because the bills are due when the checks come in. Our we sh** out of luck here? Any suggestions? I’ve seen this method discussed by other authors, too, without mentioning Dave Ramsey. Probably because it pre-existed Ramsey. I have never tried this method yet, but I think I should give it a try one month at least. It definitely gives tangible meaning to the idea of income allocation. Whatever size your money pool is, you need to allocate it properly, and this method would teach you how to do that consistently. @Baker – I felt the same way you did. I thought envelopes and cash were beneath me. Almost like I was a financial light weight for using them. Then we tried it and I can’t believe how much money we save now. I think the main part is just planning out your spending instead of just estimating what we would spend and “trying” not to go over like we did in what I call our conservative credit card days. We actually use cash for groceries, gifts, and entertainment money but we also use online accounts with ING Direct and use our debit master card to make online transactions and move money around. With the way they let you set up multiple/named savings accounts, ING is the perfect online companion for envelope users. I think we are up to 12 accounts. Love the video tutorial! Very well done too. I’ve been using the envelope system for years now and don’t think I could have explained it any better! We use them for things like groceries / gas / and miscellaneous spending. I’ve set up “auto” pay for most bills, but I still think that using “real money” makes spending… REAL! So, especially for folks just starting out, the envelope system is a GREAT way to get started… and, you might find that you’ll just keep on using it. @Baker – Thank you for sharing your story. I wasn’t pleasantly surprised when I found NCN’s video as well. @Tom – I agree. I don’t plan to go all cash and there are definitely automatic payments that I want to keep. However, this sould work well for the cash portion of our finances. @Craig – Yeah, I wouldn’t go crazy and try to juggle more than 8-12 envelopes. That defeats the purpose of the system. @Dora – That’s the powerful thing about envelope system. It’s physical. You can touch it, feel it, and see the money disappears. My mom taught me how to budget/save this way and I’ve been doing this for years. Having cash available is the great part because when you spend cash it’s painful! Credit cards slow down that painful process to a point that it’s not so bad to blow money, and really, it’s not money anymore. When my bills come due I take the cash I need from the envelope, deposit it in my checkbook and pay the bill. Someone else might like to figure out their budget in on-line “envelopes” and pay with online bill pay. Same idea. Credit cards have their place, so I have an envelope for that and pay when the bill comes. Plan your budget, use the cash in the respective envelopes..it’s very easy. Growing up I did this and still may do it for one specific category or item to save up on. For me it’s something more of a reward to myself, whether a vacation or material item. This way I can visually see the money grow in the envelope and it motivates me to continue. I couldn’t imagine doing that for all bills, would get complicated and wouldn’t want that much cash lying around in envelopes. This system is good but you can’t use cash for everything. There are certain things you just have to use a credit card. And that’s fine as long as you have discipline and know how much you can and can’t spend. Running an all cash system is great because once the cash is gone, its gone and you are not tempted to borrow but it may become a bit depressing for some people. If you say really need money and you know you will make that money back then credit might make sense. I absolutely love this system. At first, a thought it was a little “beneath” me. Like I was too good to use this sort of system. I couldn’t have been more wrong. My wife and I have grown to love it and I know for a fact it has helped me control spending and visualize my budget.